Steps families can take to get more need-based and merit-based financial aid. As the year draws to a close, there are several steps families can take to get more need-based and merit-based financial aid. Taxpayers can claim one of two education tax credits based on amounts paid for qualified higher education expenses, such as tuition and fees. These are the American Opportunity Tax Credit (AOTC) and the Lifetime Learning Tax Credit. Generally, the AOTC will be better for most taxpayers, leaving the Lifetime Learning Tax Credit for taxpayers who don't qualify for the AOTC. The AOTC provides a tax credit per student of up to $2,500 based on 100% of the first $2,000 in qualified higher education expenses and 25% of the second $2,000. (The AOTC modified the Hope Scholarship tax credit, which provided a tax credit of $1,800 based on 100% of the first $1,200 and 50% of the second $1,200 in qualified higher education expenses.) The Lifetime Learning Tax Credit provides a tax credit of up to $2,000 based on 20% of the first $10,000 in qualified higher education expenses per taxpayer. In some cases taxpayers will be able to claim next year's expenses on this year's return. In particular, if the taxpayer pays for qualified higher education expenses this year for an academic period that begins in January, February or March of next year, the taxpayer can claim the expenses on this year's federal income tax return. This is based on the prepayment rule from the regulations that appear at 26 CFR 1.25A-3(e) and 26 CFR 1.25A-5(e). In general. If qualified tuition and related expenses are paid during one taxable year for an academic period that begins during the first three months of the taxpayer's next taxable year (i.e., in January, February, or March of the next taxable year for calendar year taxpayers), an education tax credit is allowed with respect to the qualified tuition and related expenses only in the taxable year in which the expenses are paid. If the taxpayer will qualify for the AOTC in both years, there may be no benefit to prepaying next year's qualified higher education expenses this year. That's because the AOTC pays more on the first $2,000 in qualified higher education expenses than on the second $2,000. 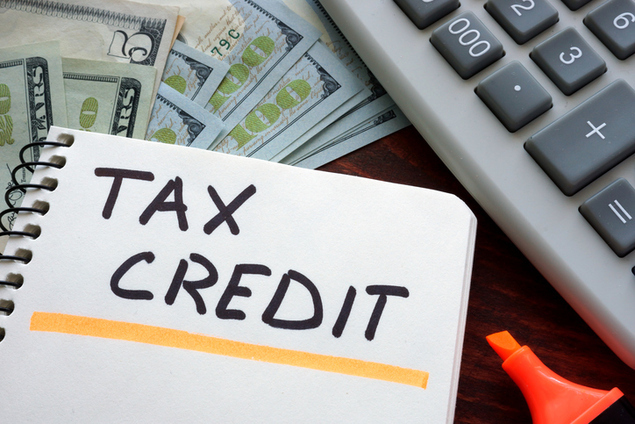 Prepaying the expenses might yield a lower tax credit overall if the prepayment shifts the expenses from a higher tax credit percentage to a lower percentage. However, if the taxpayer expects to lose eligibility for the AOTC next year, prepaying the expenses may be beneficial. That's because the tax credit percentage on the second $2,000 in qualified higher education expenses for the AOTC is still higher than the tax credit percentage for the Lifetime Learning Tax Credit. A taxpayer might lose eligibility for the AOTC if next year's income will exceed the income phaseouts or if the student will reach the four year limitation on eligibility. The ability to prepay expenses for academic periods that begin within the first three months of the year also helps taxpayers deal with the mismatch between academic years and tax years. The first tax year might have expenses only from the fall semester. But if the taxpayer pays the spring semester tuition in December, that allows the taxpayer to claim the full tax credit during the first year. A similar approach is used for each subsequent tax year, with each year prepaying the spring semester expenses for the subsequent year. The regulations for other education tax benefits, such as the tax-free distributions from 529 college savings plans and the student loan interest deduction, do not discuss prepayment. Families should file the Free Application for Federal Student Aid (FAFSA) as soon as possible after October 1. While the federal government has an 18-month filing cycle for the FAFSA, ending on the following June 30, some states have very early deadlines, such as deadlines in February and March. Other states award state grants on a first-come, first-served basis. So it pays to apply as soon as possible. The FAFSA cannot be filed before October 1. But you can prepare for filing the FAFSA by gathering the necessary documents (Social Security card, driver's license if any, W-2 and 1099 forms, last paystub of the year, bank and brokerage account statements, etc.) and completing the FAFSA on the Web Worksheet. This worksheet is available in the HELP section of the FAFSA web site by clicking on "Getting Started/Before You Apply" and then on "FAFSA on the Web Worksheet". This year's federal income tax return will affect eligibility for need-based financial aid for the following academic year. For example, financial aid for 2018-19 (the award year) is based on the 2016 federal income tax return (the base year). Changes in family income during the base year can have a big impact on the expected family contribution (EFC) and eligibility for need-based aid. So families should be careful about realizing capital gains during the base year. Either the capital gains should be offset with capital losses, or the capital gains should be taken before December of the student's junior year in high school. It is never too late to start saving for college. Every dollar you save is about a dollar less you will have to borrow. Every dollar you borrow will cost you about two dollars by the time you repay the debt. So it is literally cheaper to save than to borrow. Almost three dozen states offer state income tax deductions or credits for contributions to the state's 529 college savings plan. Sometimes the state income tax deduction is based on contributions net of distributions. But even then one can make a contribution on December 31 and take a qualified distribution on January 1 without affecting eligibility for the tax deduction. Families should also start searching and applying for scholarships immediately. Often families wait until the spring of the senior year in high school to start figuring out how to pay for college. By then they have missed half of the deadlines during the senior year, as well as scholarships awarded to students in younger grades. There are even scholarships students can win in elementary school; see www.finaid.org/age13 for a list. Use a free scholarship matching service, like Fastweb.com, to search for scholarships. Fastweb notifies you whenever there's a new scholarship that matches your personal background profile.